We recommend a course of at least four sessions to allow imbalances to be cleared. Everyone is different and some may require more sessions. You relax while the therapist carries out a specific protocol for your manifested ailment or you may receive a general wellness treatment. Sessions can last 15-20 minutes or longer depending of the protocol required. There is little or no pressure on the body making it ideal for treating all ages and conditions, sometimes hands are held away from the body or directly on the body. During the session you may experience feelings of heat, cold, tingling etc. After the session clients often feel a sense of lightness as if “a weight has been lifted off their shoulders”, some immediately feel remarkable changes in their health whilst others become more aware of their illness for a few days as their body starts to release years of stagnant energy. Some clients notice very little happening initially but find their illness has disappeared over the weeks following the session. Think of energy and energy flow like rivers. When a river is blocked by debris it backs up causing damage to the surrounding area depending on the level of blockage, once the debris (stagnant blocked energy) is cleared it can flow naturally again but may take time to revert to its natural flow. Similarly, once the flow of energy is restored to the body, the process of recovery continues to unfold. 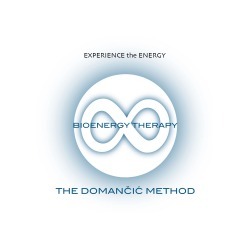 Disclaimer:Bioenergy therapy is not medicine as we know it, and is not intended to replace medical services offered by trained physicians. Always consult with your doctor about any symptoms that may require diagnosis or medical attention, and before adjusting any medication or course of treatment. The practitioner does not diagnose illnesses.